From beautiful coastlines to the superb small towns and settlements of the region, a road trip in the Northeast can include a wide variety of different attractions and scenery. This beautiful part of the country may not have the golden beaches and hot summer weather that is found down in Florida, but it is nonetheless one of the best places to head off the interstate and enjoy a few of the smaller roads traversing the area. Here are five ideas for an interesting road trip. The coast of Maine includes some of the most iconic sights in the United States, and the northern portion of Route 1 is frequently used as the backbone of any trip through this area. The coastal scenery is spectacular for much of the route, and there are many historic lighthouses in the area that stand on isolated peninsulas and have been warning ships about dangerous areas of this rocky coastline for decades. This is also one of the best areas of the country for seafood, with a visit to Kittery Point well worth the trip, with the charming picnic tables with sea views a great place to enjoy Maine's most famous food product, the lobster. From New York City to the tip of Long Island, this road is one that offers a massive diversity, beginning in one of the world's largest and most cosmopolitan cities, and soon giving way to rural towns and farming communities. The Montauk Point lighthouse is certainly one of the highlights of the trip, offering stunning views, while also being the oldest in New York state. While the road itself is only 105 miles in total, the towns, villages and beautiful coastal areas help to make this a wonderful road trip. Spanning a much longer route in the Northeast, this is a trip that can be covered in a few days, or taken at a much more leisurely pace to make for a very interesting fortnight on the road. Taking in some of the most iconic bridges and cities in the Northeast, this route offers a great opportunity to explore cities including Philadelphia, New York, Boston, and Portland, before finally reaching the forests on the island of the Acadia National Park. This is a great option for food lovers, with such a wide range of excellent seafood and homemade produce available in restaurants and markets in many of the more rural areas. 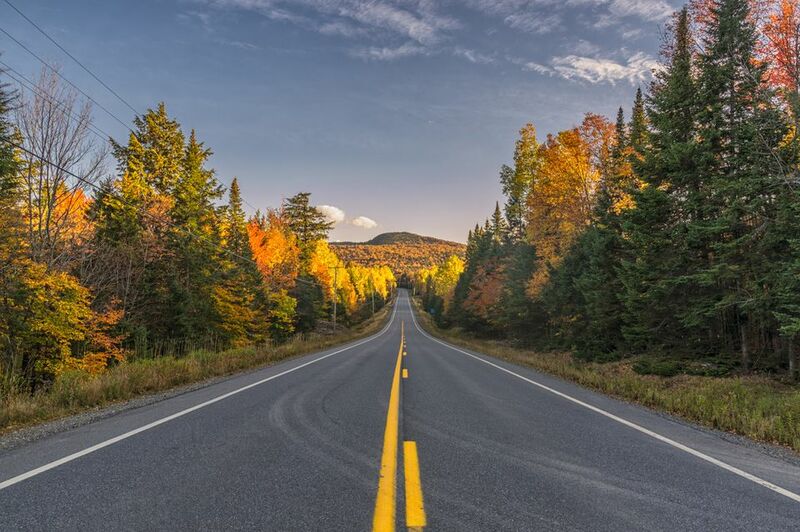 This route is most popular in the fall, when the famous red and golden colors of the Vermont forests are in full view, while there are also some great spots for skiing that are found along the route during the winter. This north to south road runs through much of Vermont, from the town of Newport near the border with Canada all the way to Stamford where the road passes into Massachusetts. Some of the highlights along the route include the stunning sights and waterfalls in the Green Mountain National Forest and the picturesque Mad River Valley which has some beautiful scenery to enjoy. While this may not appear to be a natural road trip to choose, there are some amazing experiences to enjoy along the way that helps to make this one of the most spectacular trips on offer. A short distance outside Philadelphia is the Strasburg Rail Road, where there are some wonderful historic steam trains in full operation. The town of Hershey is also a great place to stop along the route, where the Hersheypark is a great theme park, with several rides and ways to enjoy one of the country's favorite candy brands. One last stop before arriving in Pittsburgh is the oldest amusement park in the United States, Kennywood, with some wonderful old rides making for a great old-time atmosphere.